Legendary rock group The Beatles are likely to make their streaming debut next week, according to a new report, which suggests Apple Music subscribers will be able to access the band's iconic catalog starting on Christmas Eve. The Beatles discography will arrive on "most, if not all" streaming services on Dec. 24, according to sources who spoke with Bloomberg. After debuting this summer, Apple Music is already one of the largest streaming subscription services available, which would suggest it would be a part of any such agreement. 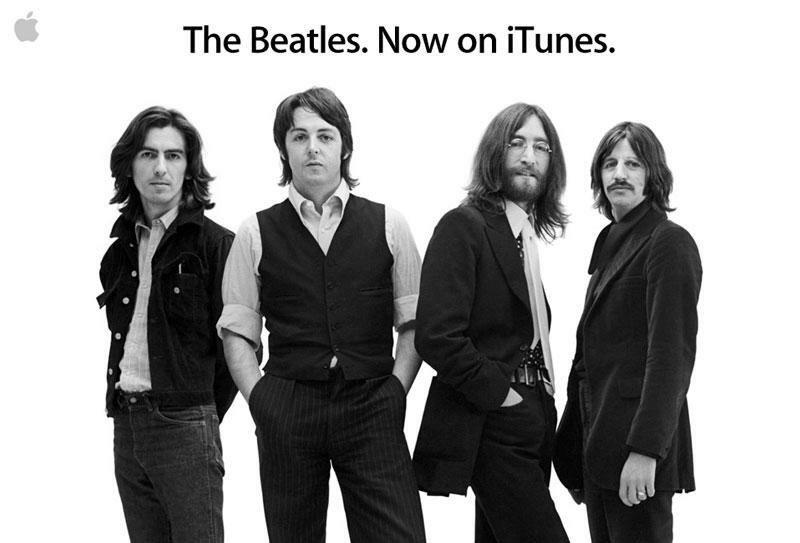 Further supporting the fact that Apple Music would be among the first to carry The Beatles is the fact that the band's digital catalog debuted exclusively on iTunes back in 2010. That landmark agreement came after years of legal wrangling over a trademark dispute between Apple and The Beatles's parent company, Apple Corp, that was ultimately settled in 2007. The Beatles are the biggest artist missing from the Apple Music catalog, though other high-profile holdouts remain. Among them are Prince and Garth Brooks, though other digital opposers like AC/DC and Radiohead are onboard. The current largest subscription streaming service is Spotify, also making it a likely candidate to be among The Beatles's launch partners on Christmas Eve. Apple's iTunes Store landed a video exclusive with The Beatles earlier this month with "1+," a collection of 50 completely restored and remastered presentations from the Fab Four. The video collection features videos for all of the group's No. 1 U.K. and U.S. singles, as well as 23 more, including alternate versions and other rarely seen clips.